Dr.Kavitha Rajsekar is a senior scientist (Scientist-D) at Department of Health Research, Ministry of Health and Family Welfare, Government of India. Kavitha holds a MSc, MPhil, PhD in Biochemistry and Molecular Biology from the University of Madras, India. 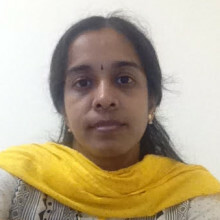 Kavitha is part of the Medical Technology assessment Board in Department of Health Research, India.